He came, He saw, He conquered. And he did it Mexican Style! Refusing to let boxing be held hostage on its biggest day, Cinco De Mayo, undefeated World Middleweight Champion GENNADY “GGG” GOLOVKIN’s Big Drama Show made a triumphant return to HBO. Last Saturday, in his first non-pay-per-view event since 2016. Golovkin (38-0-1 34 KOs), from Karaganda, Kazakhstan, currently boxing’s longest-reigning world champion (since 2010), defended his title for the 20th consecutive and division-record-tying time. Saturday’s victim was fellow 2004 Olympian and three-time world title challenger Vanes “The Nightmare” Martirosyan (36-4-1, 21 KOs), from Glendale, Calif., who was counted out in the second round of their battle at StubHub Center in Carson, Calif. It was the first time Martirosyan had ever been stopped. The Golovkin vs. Martirosyan main event registered 1,249,000 viewers and peaked at 1,361,000 viewers, according to data from Nielsen Media Research. Those figures make Golovkin vs. Martirosyan the No. 1-rated cable fight for 2018 and the top-rated premium cable fight since 2016 — Golovkin’s title defense against Dominic Wade — which took place at The Fabulous Forum in Inglewood, Calif. 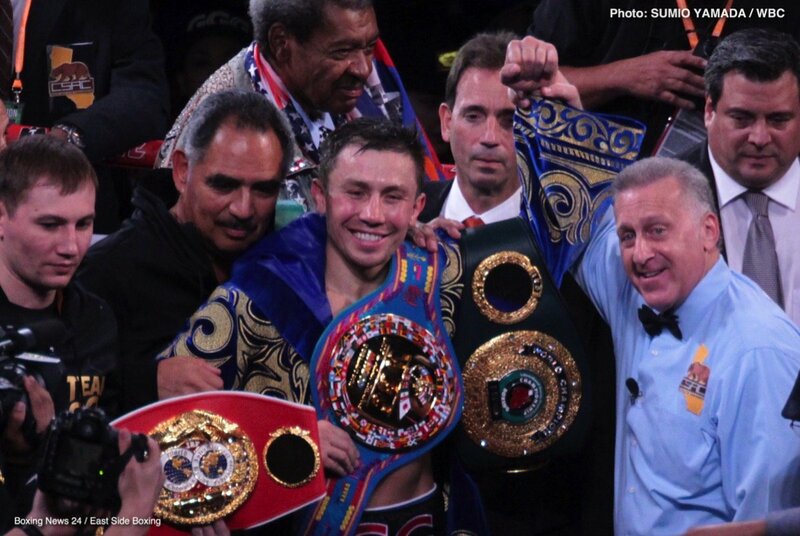 Previous boxing news: WBC results: Golovkins thrashes Martirosyan, More!